(CNS): Two men who attempted to remove an ATM machine from the Butterfield Bank in Forte Street in George Town last night with a sledge hammer failed to breach the bank cash machine. The police said that they were contacted by the management of Butterfield Bank this morning after he discovered the machine had been tampered with overnight. Police attended the scene which was processed, including reviewing the CCTV which showed a determined attempt by the culprits to remove the machine by using a sledge hammer to pry it from the wall, police stated, but the robbers were unsuccessful. 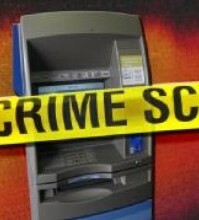 The ATM was not breached and no cash was stolen. Police said that the incident is now under investigation by detectives from the George Town CID. This is the second ATM this month which thieves have attempted to steal. 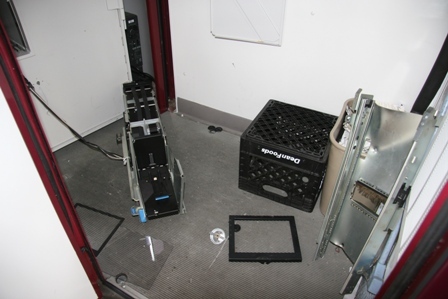 During the early hours of the morning on 2 September thieves had attempted to steal the entire ATM unit, which was also a Butterfield machine, from inside the public area of the Cayman Islands Hospital in George Town. The RCIPS is asking for any information that can lead to the apprehension of the people responsible for this incident. Persons with information can call George Town Police Station CID at 9494222 or Crime stoppers at 800TIPS(8477). Why dont they show the footage from the tape. They might get tips. Too many cops and robbers movies to watch on TV and far too many expats taking the jobs that would give the idle hands and minds something to do. Don't give these young people a chance at lifeand this is just the begining. How can you expect to let young people out of school that can barely read or write and expect them to function properly when they can't even find jobs washing dishes, moping floors or pulling bush because there are permit holders doing even these jobs. This foolishness about creating jobs and investment needs to stop, get to the root cause of these problems or else next time this year the problems will be 100% worst. The UK government need to come and sort this country out NOW! this country is out of control and needs good governance. A sledge hammper? No one heard? Stop wasting readers time. check with the security guard may be he could offer some help. Check that white van good, where the guys werethr guys were shot last night see if you dont find the sledge hammer in it. These fools/thiefs will start thinking smarter, when they do hell will break lose. Arm our Police, another thread said that they had never heard of a Cop being awarded for bravery in the line of duty….so we expect our Police who have only pepper spray and a baton (what a joke) to come at these well armed criminals, ask yourself would you do it? Give our Police a fighting chance to protect us…a flipping taser gun for goodness sakes would be better than spray! I say Cayman needs to stop complaining about what the Police are not doing and what they think they should be doing and start focusing on how to help them! Petition to arm your Policemen. Murders, robberies, people disappearing what has happen to this counrty its not a district problem this is a whole Island problem people wake up. So someone is swing a sledge hammer outside a bank (I assume during the night) and no one notices…you have to be joking…Alsodon't the ATM's have a security camera on them? Once again – CCTV! Where are the pictures? What about the descriptions?